Here’s your Investing Action Plan for Tuesday: what you need to know as an investor for the coming day. Fast-food chain Sonic Drive-In (SONC), leading drone maker AeroVironment (AVAV), Schnitzer Steel (SCHN) and information giants IHS Markit (INFO) and FactSet Research (FDS) are the big names reporting earnings. Sonic reports Q3 earnings after the close. Estimates: Wall Street expects EPS to jump 14% to 49 cents per share, according to Zacks Investment Research. Revenue is seen slipping 3% to $120 million. Stock: Shares fell 1.7% to 35.01 on the stock market today. Sonic stock exploded out of a 21-week cup base back on June 7, gapping up through its correct entry zone on its way toward a 31% price increase in just 12 sessions. Its relative strength line remains near a two-year high, and the stock is trading far above its 50-day line. 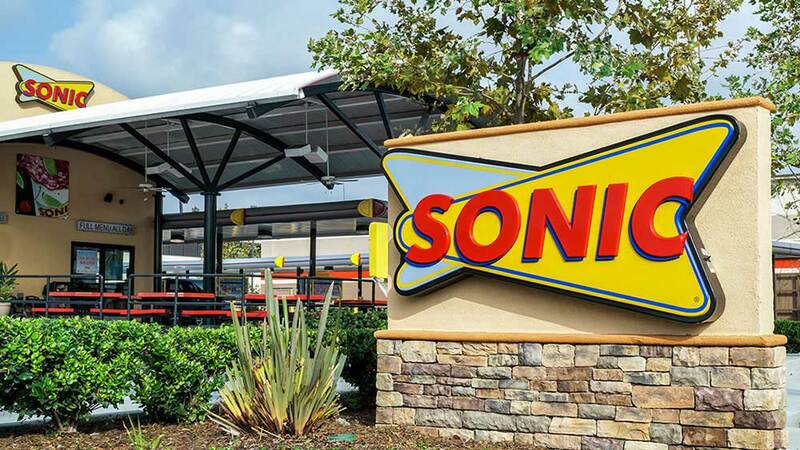 Sonic stock soared after the burger-and-shake chain announced a $500 million share repurchase program and reported flat same-store sales, above forecasts. The drone manufacturing firm is reporting Q4 earnings after the close. Estimates: EPS is seen diving by 60% to 52 cents per share, as revenue slips 10% to $113 million. Stock: AeroVironment stock fell 2% to 58.25, finding support at its 50-day line. At first glance, the stock appears to be in a cup-with-handle base with a 61.25 buy point. But the pattern is only six weeks long. That’s good enough for a cup base but a cup-with-handle needs at least seven weeks. The AeroVironment stock buy point is 62.30 for now, though the cup pattern is oddly shaped. A positive sign is the fact its relative strength line remains near a six year high. However it is now in the midst of a third stage base, which is more failure prone than earlier bases. The stock’s IBD Composite Rating, which measures key performance metrics and technical strength, has slipped down to 84 after joining the 95-plus club just two months ago. The metals recycling giant reports Q3 earnings before the market opens. Estimates: Wall Street sees EPS exploding 105% to $1.15 per share as revenue climbs 36% to $651 million, according to Yahoo Finance. Stock: Schnitzer Steel stock tumbled 4.1% to 34.70. The stock is consolidating after advancing toward January’s six-year high. It had a 38.25 buy point from a double-bottom base. But as of Monday’s close, Schnitzer has formed a proper handle, lowering the entry point to 36.90. Schnitzer’s RS line is still off recent highs, though a strong breakout could push it above short-term peaks. Last week the stock set up a bearish option trade that, while not cheap, still was within an acceptable cost range. When shares traded around 36.10, a slightly out-of-the-money monthly call option with a 37 strike price (July 20 expiration) came with a premium of around $1.25. This offered a trade with downside risk of 3.5% ($1.25/36.10). The information giant is providing Q2 results before the open. Estimates: EPS is seen rising 10% to 46 cents per share on revenue of $975 million. Stock: IHS Markit shares sank 2.2% to 50.12. The stock has been building a flat base for the past six weeks as part of a bullish base-on-base formation. IHS stock has a 52.71 entry point, but undercut its 50-day line Monday. But IHS has mediocre fundamentals, with an IBD Composite Rating of 81. It is also lagging far behind leaders in the Financial Services-Specialty Industry Group, in 13th place. However the London-based information and analytics firm managed a double beat in the last quarter, and will be looking to keep its momentum going. The financial data and software company is declaring third quarter earnings before the stock market opens. Estimates: Wall Street sees EPS swelling 16% to $2.14 per share as revenue ticks up 9% to $340 million. Stock: FactSet stock retreated 1.4% to 208.04 Monday. The stock has built a symmetrical 14-week cup base, and is approaching a 216.74 buy point. It could be working on a handle that would provide a slightly lower entry. FactSet stock’s RS has also been on an upward trend in recent weeks. The stock boasts good fundamentals, including a solid Composite Rating of 90. Its also has a healthy SMR Rating of A, which is important as it measures a company’s sales growth over the last three quarters, its pretax and after-tax margins and its return on equity.